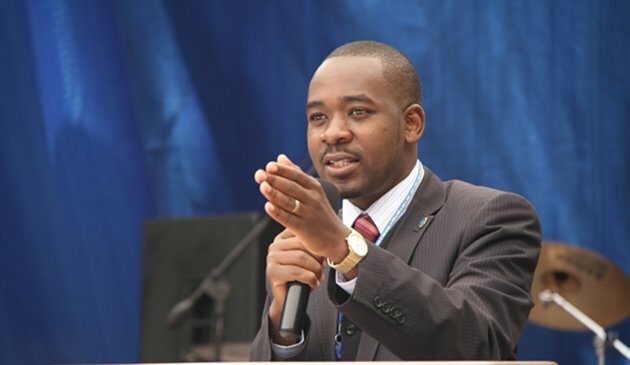 Nelson Chamisa, President of the Movement for Democratic Change has intimated that he is set to meet President Emmerson Mnangagwa for a dialogue meeting that he says is aimed at finding solutions to challenges that are likely to plague this year’s general elections. In a statement released yesterday, Chamisa hinted that he wrote a letter to Mnangagwa requesting a meeting with him, listing his desire to address animosity and hatred which has dominated Zimbabwean politics for a long time now. “In the spirit of national building and promoting constructive dialogue in the quest to find solutions to national challenges, I have written to President Emmerson Mnangagwa requesting a meeting with him. “I have written to him with the aim of defining and framing the parameters and contours of a national discourse in our country’s politics. “It is important to eliminate insults, animosity and hatred in our national politics. We need neo politics; the politics of ideas, solutions, policies and national strategies to develop Zimbabwe,” said Chamisa. The youthful politician said he is yet to hear the exact dates for the meeting from Mnangagwa. “I am yet to hear from President Mnangagwa on the exact dates that we will meet. “The MDC is a partner in national development and not a threat. Being on opposing political sides is not enmity but just an expression of the reality of diverse views. “After all, it is diversity that makes a nation because diversity strengthens and does not weaken,” said Chamisa. President Mnangagwa previously indicated that he was going to meet all political parties for a dialogue meeting though he did not reveal the dates and agenda of the meeting. Zimbabwe currently has more than 108 political parties with more still coming and from the indications on the ground, this year’s elections are likely to be the most contested, a feat that has unsettled the MDC Alliance which believes some of them are agents of the ruling party.